Golfing Magazine's annual Free Golf Program is open for registration, and if it's still too cold for most players to hit the fairways, then it means the mag's Early Bird discount is available. From now through April, Long Island golfers who take part in the program can save even more on heavily discounted green fees. Participants in the Free Golf Program receive a one-year subscription to the Hicksville-based magazine, as well as a certificate that entitles holders to discount golf at nearly a dozen Long Island courses, for $49. Early Bird subscribers get in on the deal for just $39. The 2018 program included nine courses -- Brentwood Country Club, Cherry Creek's Woods Course, Gull Haven, Holbrook Country Club, Island's End, Middle Bay, Mill Pond, Rolling Oaks and the Executive Course at Harbor Links. In past seasons, the program has also included free sessions at indoor golf facilities. Once the courses for the 2019 program are set, a certificate is sent to each subscriber, valid for a single use at each of the participating facilities. Only a cart fee is due on the day of play (other restrictions on dates and tee times may apply). The certificate also gives subscribers the opportunity to sample golf courses around the Northeast. It is valid at dozens of courses across upstate New York and New England. 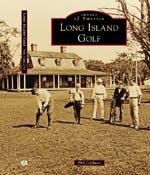 A full list of courses on and off Long Island will be available when the program officially tees off in May. Certificates are valid until the end of the year. 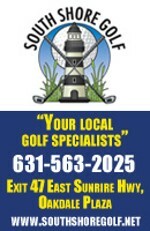 Visit the Golfing Magazine website or call (516) 822-5446 to sign up.